Spence-Lowry Family History – Page 3 – Connecting the dots on my tree with solid lines! 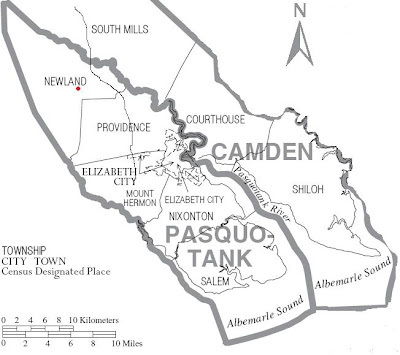 Researching my African American genealogy in Pasquotank and Camden counties of North Carolina. Ancestors are Talking..do you hear them? I haven’t written much since my aunt passed away last month. 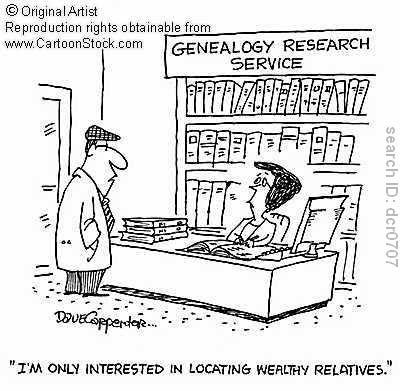 Trying to focus on genealogy and/or family stuff is hard. She was an inspiration. She was fiesty. She reminds me of myself. lol. Today, I signed on to Ancestry.com looking for an inspiration on researching an ancestor. I hadn’t researched anyone in a while, nor have I had that urge too. But, today, I tried to urge myself to do it. As I sat there staring at the page, nothing came to mind. Not one single ancestor. Instead, my mind wondered to what I could be doing instead. The family newsletter. Yes, I write a quarterly family newsletter for my entire family. For all the Spence, Lowry, Banks, & McCoy descendants. That equates to approximately 150 households and I’m late with my deadline. Very late as a matter of fact. So I decided to work on it tonight. As I sat here editing the newsletter and trying to add captions to pictures, I realized I was missing names of people who performed at the reunion. So, I called my grand uncle. He is the husband of my aunt that recently passed. While on the phone with him for literally a minute, he tells me that his son was there. Hands him the phone and we start talking. My cousin tells me that he found a box that contained a lot of pictures. Pictures with names on the back! (I love you Auntie, but I knew you were holding out on me. lol.) He said that he will send them to me to help me with the research. How amazing. I knew that this unfinished work of the family newsletter was what I was supposed to do. I don’t know why I was avoiding it. But, I’m glad I’m working on it now. Some years ago, my dad showed me this book that my aunt made. It was in essence, a picture book. But, it also had names of family members I never knew of or heard much of. She didn’t have dates or history in the book. It was simply pictures and names. She made this book for all the children of Ed & Bessie Spence. I’m guessing, they all know the people in the book. She is the wife of my uncle, one of the children of Ed & Bessie. The book she made bit me. That book is what started me on my path to figure out who my ancestors are and find out how I’m related to people in Elizabeth City. It hurt deeply to find out she passed away on Thursday. If it wasn’t for her and the book, I wouldn’t have started researching my family tree. She knew alot about our family. She remembers my father as a child and was there for the first reunion. She would quickly correct you when you were wrong about family history. But, she was also guarded when it came to it. Outside of that book, I didn’t get much information from her. She never understood why a ‘young person would be interested in dead people’. I would always tell her that I just want to know who my cousins are. She would just smile. Rest in Peace Auntie. You are deeply missed and loved. I know you’re better now. So, after spending last week in a frantic search for my 80 year old cousins phone number, I finally got it. This is the man that worked with my grandfather, George Washington Bolden, on the docks in VA.
Granted it really didn’t take much searching. It was just frantic because when I wanted to talk to his sisters, they were home. So, my inability to be patient set in. So in a nutshell, I was frantic, the search was not. Well, I got the number last week and have yet to call. I’m not exactly sure why I hadn’t called him. I know I need to call ASAP. Maybe I’m a little scared that I may get the same “I’m 80 years old, I can’t remember that far back” response that he gave me last time. It was crushing then when he told me. But, I have a new plan. My plan is to call him and ask about his life during that time. Find out what type of work he did, but talk to him more about himself. Maybe in talking to him about this will jog his memory. Maybe he’ll remember some kind of detail that can get me to the next door. So, tonight, I will be calling my cousin. Wish me luck. Thank you Karen SOOO much for your comment. I’m reposting the comment because this is information anyone searching for long lost military relatives can use!!! From what little information you have about his movements in the Navy, here is a long shot for you. It might be difficult to find these sources, but you might try libraries and used book stores. Squadrons and ships and shore units often will publish yearbooks with photos and names of the personnel assigned to that unit. Maybe someone in Norfolk (I recommend RAOGK – Random Acts of Genealogical Kindness, http://www.raogk.org, and look in their directory for someone in Norfolk). You might get lucky. I just wish I could see his left arm in the photo because his rating insignia (what his duty was in the Navy) would be there. He does appear to have a lot of medals. The really unfortunate thing is that he doesn’t seem to have a name tag on his uniform. If only he’d worn a name tag, that might have helped you a lot, if you could get the picture enlarged with some clarity. At that, you might try, because the name of his ship might be on the band of his cap! Something is written there, but I cannot make it out. One thing you might think of trying is to go to the armed services website Military.com (http://www.military.com), and on the left-hand side of that home page, click on Navy. You will have to register, but it is free. Post the photograph on the site, if you can, and see if anyone recognizes your grandfather! That, too, is a long shot, but there could be some old retirees who just might remember. You could try to get his service record with the sketchy information you have. It would be difficult. I would recommend that you call the National Personnel Records Center in St. Louis, which is where his record would be kept. 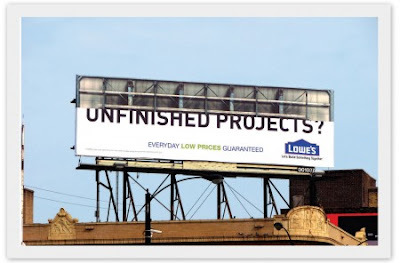 Their phone number is 314-801-0800. I have found NARA and NPRC personnel to be very helpful. Explain your situation to them, and how much this means to you, and see if they can find his record just with the name — even though they’d have to sift through variations, in your case. Much good luck, and I’m going to follow your blog to see if you have any luck with this. Karen – I’ve started working on this. I did fill out a form and sent it to the National Personal Office. Since an immediate descendent had to do it, I had my dad send it to them. They replied back saying that we need a SSN in order to get information. But, I’m going to call and see if there is something else I can do. Thanks again. This has given me some hope in finding info on my grandfather. 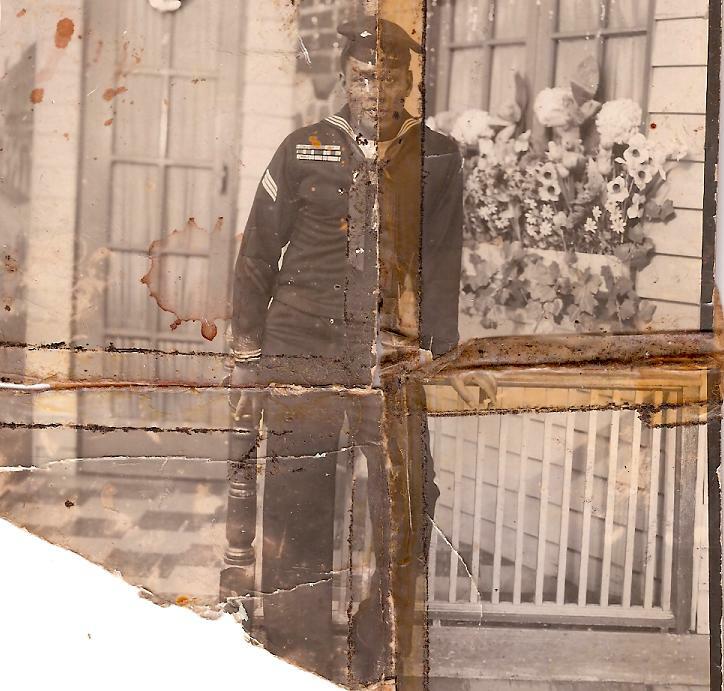 This is a repost of sorts about my grandfather, George Washington Bolden/Bowden/Baldwin. When I think about this, my heart really breaks. Although, it doesn’t affect me as much because never having a grandfather, I don’t know what a relationship with one is like. But, for my dad, to not have a father, I can imagine the hurt he must have had growing up. My dad joined the military to find him. All he knew was his dad was in the military. And all he had was this torn picture of a man he didn’t know. His step-father tore this picture into 4 pieces. Ripped it up out of rage. For what reason, I’m not sure. But, from that point forward, my dad was not to have that man raise him. My dad was raised by his grandparents. Raised as a sibling to his Uncles and Aunts. Cousins may be mad at me for what I have to say, but that’s what it is. I smile when I look at this picture because to be honest, my dad looks a lot like this man…in his younger years. I see the features that make up my dad’s face…my face. I often wonder about my possible Aunts, Uncles, Cousins and what not from this side of the family. My last name would have been something other than Spence. My life may have been different with knowing who my grandfather was. I imagine cousins that I could have known and/or grown up with. I wonder if I’ve dated any of those cousins…eewww. The fact that the story behind this man has varied over the years and the fact that I have such little information is poignant. I wish I had more to go on. I wish I had more information. Hell, I wish I knew where he was from! But, I don’t even know that. There is a paper trail for him. There is documentation. He was obviously in the Navy. He had a career. People knew him somewhere. I just want to find him. Maybe one day someone will come across the original post. Recognize some of the details. Compare notes and contact me. Maybe The Locator will be able to locate him. I’ll continue to dream my little dream and wish my little wish and hope that one day I will know who he his. Side note – George Geder did restore this photo for me. But, I think it’s more appropriate to see the picture in it’s semi original form. I know what you’re thinking, what does “I Genealogy People” mean. The order of words is confusing. But let me explain. I recently started watching True Blood. All my co-workers, friends, facebookers, twitterers, etc. is in love with this show. So, I decided to start seeing what the hubbub is all about. Well, I instantly fell in love with the grandmother on the show. Why? Because, she isn’t at all shocked that Bill is a Vampire or worried that her granddaughter is fascinated with him. Her main concern is, his knowledge on Civil War facts. SHE WANTS TO PICK HIS BRAIN. I love that!!! She is interested in him for his genealogy facts. When he comes over for dinner, she starts asking him about ancestors and people that lived in the area WAY before her time. Lol. I would love to do that!!! Second – The day my ancestors spoke to me. On lunch the other day, I decided to kill some time by going to the health food store. Not really wanting anything, but really had nothing else to do. While wondering the store, I passed by a FINE man…and I mean FINE! Well, I didn’t break, stop or slow. But I did make eye contact, smile and say hello. Ladies, you know that feeling you get when you KNOW someone is watching you walk away. I had that feeling. Sure enough, I rounded the corner and started looking at essential oils and he came sortly after. Mind you have a have a Mr. Man, so there was no entertaining this one. But it was flattering when he asked me my name and if I was single. Once I gave him my status, we chatted for a quick minute and then he said “Nice to meet you”. I don’t know why I asked, but I thought about it ‘He didn’t even give me his name..so I technically didn’t meet him like he says’. I asked him his name. ENOCH. At that moment, I genealogy’d him. I repeated it back to him “Enoch, really? E-N-O-C-H? Wow, that’s a family name.” See that?? I have a problem..lol I have never met a Enoch. Not even the Enoch’s in my family. There are only a few. I was shocked that I ran into one.